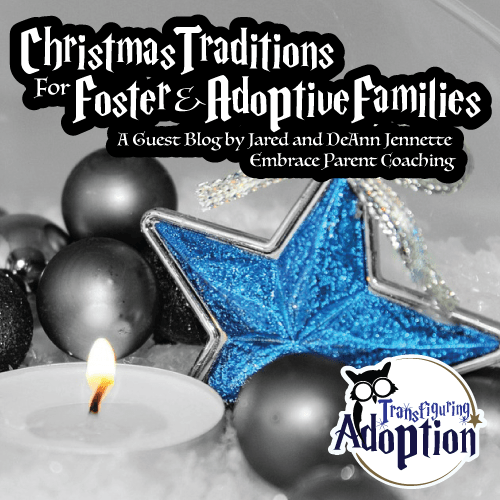 When children from a traumatic background are brought into a foster/adoptive home, there are often so many areas of their life that are delayed. Anything including education, social skills, attachment, even physical health can be significantly delayed depending on their environment and its impact on the child. As parents we feel the pressure to do everything we can to get a child improving in all of these areas, sometimes even all at once, and it can cause us to neglect things like fun and play. 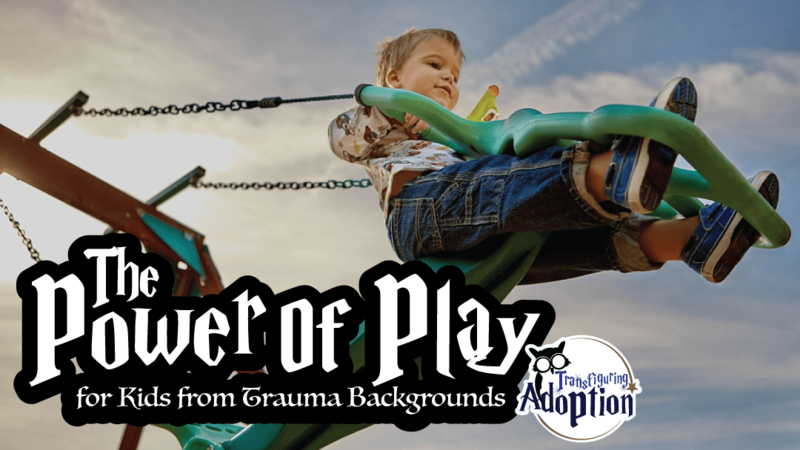 But what if we told you that play could be the key to unlocking many of the areas which have been underdeveloped in our foster and adopted children? Would you look at play differently? Play is a tremendous tool in developing many of the skills we want our children from a trauma background to gain. One of the great things about play is that it gives kids chances to try new skills that they are needing to develop. Play gives opportunity to take turns, to imagine, to collaborate, to accomplish a goal, to laugh and create safety. Play allows a child to try out new social skills that he/she may need to work on. Play is even a great way to help a child increase his/her capacity for learning. Play is a wonderful tool in our tool belts as parents that we often forget exists. Many of us have been conditioned to think that learning must be serious, quiet, and often didactic (teacher talks and student listens). But learning happens in a variety of settings, and play is a great place for a child who comes from a trauma background to learn new skills that he/she may be experiencing a delay. Another of the great things about play is it offers our children a non-threatening way to grow. Let’s be honest, any time we’re trying to learn a new skill, it is difficult. 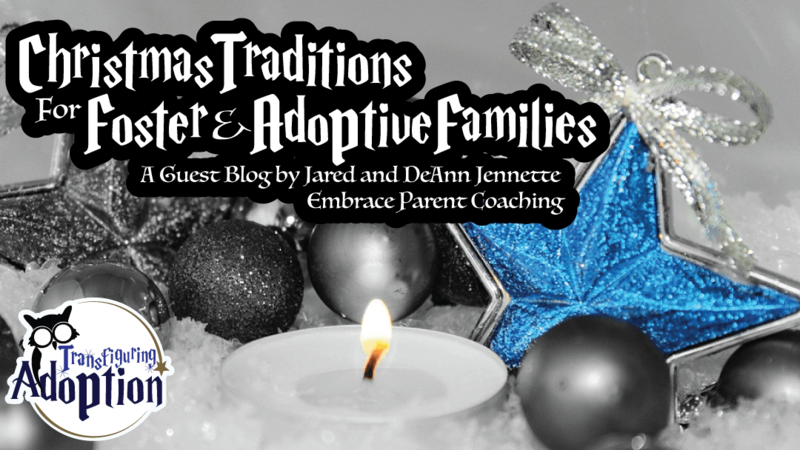 The stress of trying to master a skill, especially in a new environment like our foster/adopted kids, can be overwhelming, and lead to meltdowns. By giving chances to grow through play, you provide your child a safe, non-threatening environment to try, and especially to fail. No one gets skills right immediately. And often as parents of children from trauma backgrounds, it can be easy for us to think what seems “natural” should just come to the child. But what is “natural” to us may not be to a child from a trauma background. Play allows those “natural” skills to grow when things don’t really count. Your child may not understand that, so you need to make sure you’re reminding him or her play is fun, there is no one right way to do it, and if a mistake happens, it’s a part of the playing. By creating a non-threatening space for your child to try out new skills and grow in them, you help him/her gain confidence and continue to grow and improve. Finally, play is a great way to create attachment with your child with a trauma background. For many kids who have an insecure attachment due to their past experiences with neglect or abuse, learning to trust a new parent is incredibly threatening. 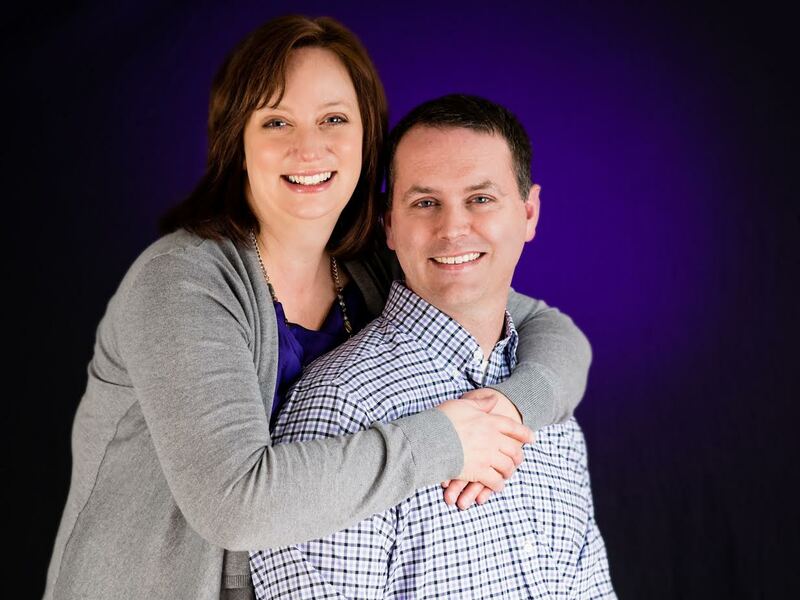 Often foster/adoptive parents assume that because they feel attached to a child, the child should be attached to them. But attachment is something that must be reinforced through trust, safety, and reassurance of love. One of the best ways you can do this is by playing with your children. No matter the age of your child, playing creates opportunities for laughter, safety, and love. Attachment is foundational to trying to teach your child any of the skills you want him/her to gain. Allow play to be the way in which you develop healthy, lasting attachment with your child with a trauma background. No matter the skill, no matter the delay, play is a wonderful opportunity for a child from any background to learn, grow, and bond. Children from trauma backgrounds often have missed out on the opportunities that play has to offer them. By allowing play to be a regular part of your family life with your child from a trauma background, you will create a deeper, more secure attachment with him/her. This is done while giving him/her the opportunity to grow in skills in a non-threatening environment. 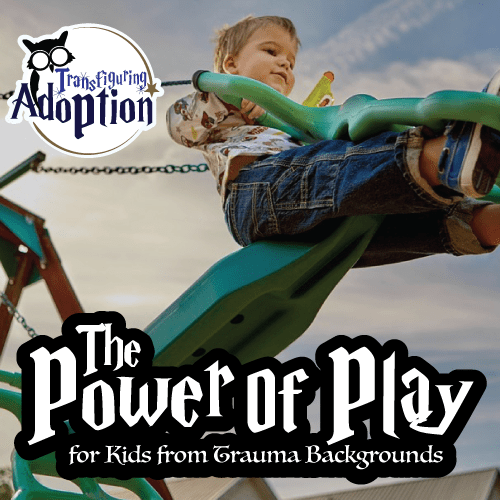 Play is a critical tool in your toolbelt as a foster/adoptive parent. So stop reading and GO HAVE FUN!